SM by the Bay recently launched the opening of Sands by SM by the Bay, adding a new place to go to its roster of popular outdoor-themed entertainment and leisure facilities. One doesn't need to go out of the city now to enjoy a beach setting for its parties or just have an outdoor activity. Sands at SM by the BAY is the only beach-themed, multi-purpose, outdoor sand court in the city. 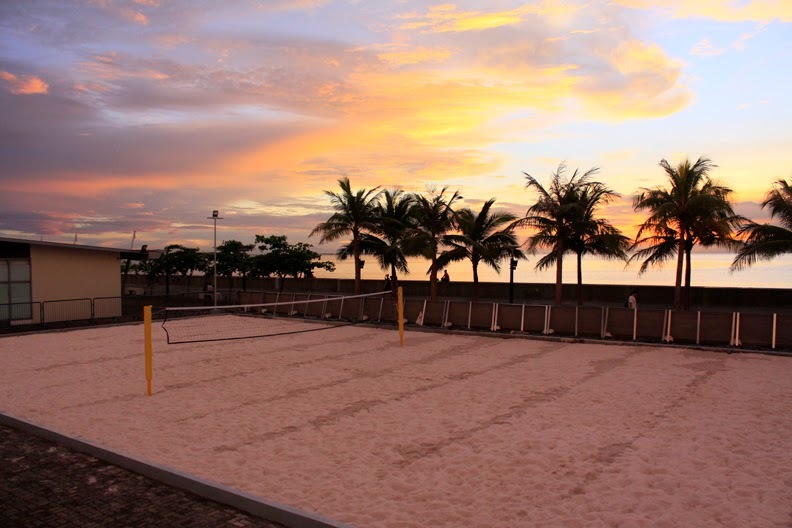 With an impressive and spacious court area measuring 28x18 meters, Sands is an ideal facility for outdoor sports such as beach volleyball, beach tennis, and sepaktakraw. Sands in also the perfect venue for product launches and beach-themed parties without the hassle of traveling outside the city. I'm really happy that SM by the Bay launched Sands which will enable a lot of beach goers to enjoy the sights and feel of the beach without leaving the city. Open for private bookings, corporate and sport-related functions, Sands is conveniently located at the north area of SM by the BAY grounds. While it has always been a must-visit outdoor entertainment and amusement destination for the entire family, with the addition of Sands, SM by the BAY now promises a more enjoyable experience for people with active lifestyles. For inquiries and reservations please contact SM by the BAY at thesmbythebay@gmail.com .Like and follow us at Facebook at facebook.com/smbythebay/ Twitter and Instagram: @smbythebay.